At Mount Vernon, many families were separated across different farms due to their work assignments. Joe, a ditcher, lived in the greenhouse slave quarter on Mansion House Farm. His wife Priscilla, a field worker, lived in a cabin at Dogue Run Farm with their six children. 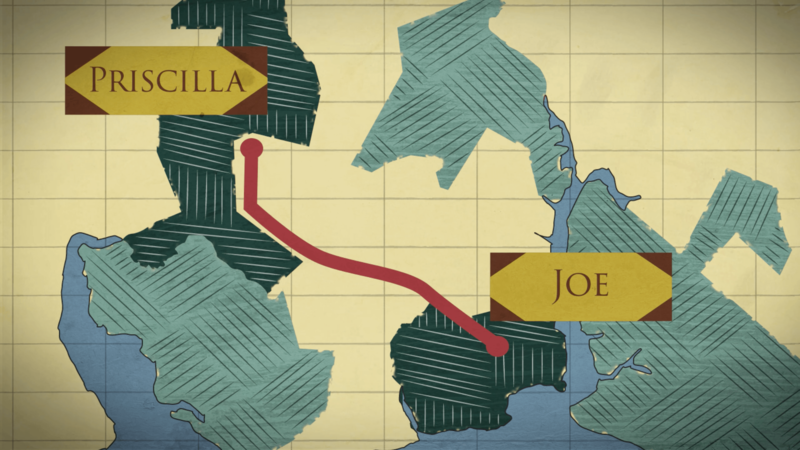 Joe could visit his family on Sundays or holidays. Sometimes he may have walked the three miles to Dogue Run after sunset, returning in time to begin work the next morning. Washington occasionally complained that his enslaved workers were fatigued from this “night walking” to visit their families. In reports to Washington, overseers recorded the births of enslaved children alongside the births of livestock. Like their mothers, the babies were legally considered property. Each new child added to Washington’s wealth. When enslaved women gave birth, they were attended to by fellow enslaved persons or white midwives hired by Washington. Women usually received three to five weeks off from their work assignments, though Washington expected them to perform less strenuous tasks like sewing and knitting while they recovered. 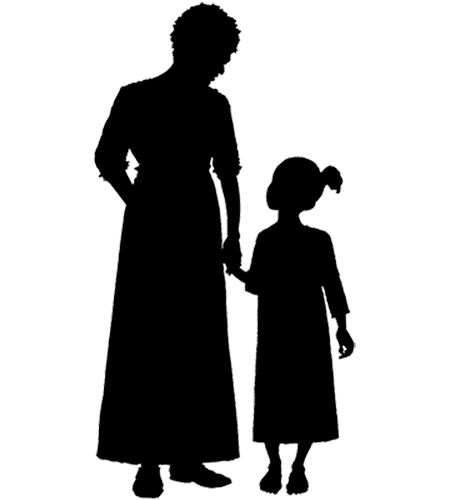 When mothers returned to work, older children and the elderly cared for infants during the day. In 1799, Washington’s account book notes that Kate, an enslaved midwife, was given 25 cents to purchase scissors “to cut the tongues of young children.” This likely referred to infants born with tongue ties, a defect that made breastfeeding difficult and could be fixed by snipping the tissue connecting the tip of the tongue to the floor of the mouth. This 18th-century scissors fragment (above) was excavated near the Mount Vernon Mansion. "The husband and wife sleep on a mean pallet, the children on the ground; a very bad fireplace, some utensils for cooking, but in the middle of this poverty some cups and a teapot." Enslaved Girl, Mary Anna Randolph Custis (later Mrs. Robert E. Lee), Arlington County, Virginia, 1830 [2007-34,1] The Colonial Williamsburg Foundation. Museum Purchase. Enslaved children received a formal work assignment between ages 11 and 14, depending on their physical abilities. Before that, they performed simple tasks like hauling buckets of water, gathering firewood, and watching younger siblings. They were not given the opportunity to attend school. 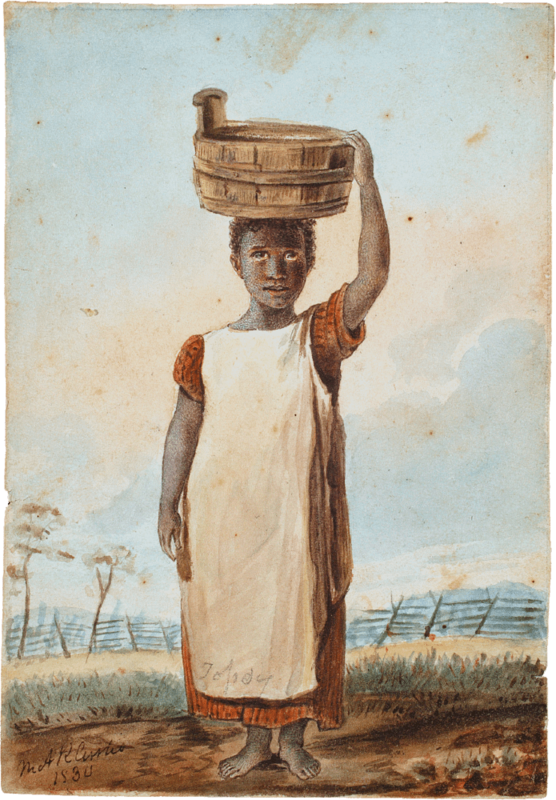 This 1830 watercolor by Martha Washington’s great-granddaughter depicts an enslaved girl at Arlington House. The child may be the daughter of one the Custis “dower” slaves, who were inherited by Mrs. Washington’s grandchildren after her death in 1802. By the 1780s and 1790s, enslaved people at Mount Vernon were probably permitted to name their own children. Many babies were named for their mothers or fathers, such as William, the son of Kate and Will at Muddy Hole Farm. Naming traditions reinforced family identity, even as relatives faced temporary or permanent separation. Many of the African ancestors of Mount Vernon’s enslaved people were stripped of their native names. Slave traders and slaveowners often assigned captives names that emphasized their status as slaves, drawing from diminutive versions of English names (Jack, Suckey), Greek and Roman mythology (Hercules, Neptune), or geographic locations (Bristol, London). Some captives maintained their African names privately as a form of resistance. Explore the slavery database to see the range of names of Mount Vernon’s enslaved people. In 1799, Penny was about 11 years old. She lived with her mother, Priscilla, and five siblings at Dogue Run Farm. Penny did not yet have a formal work assignment. 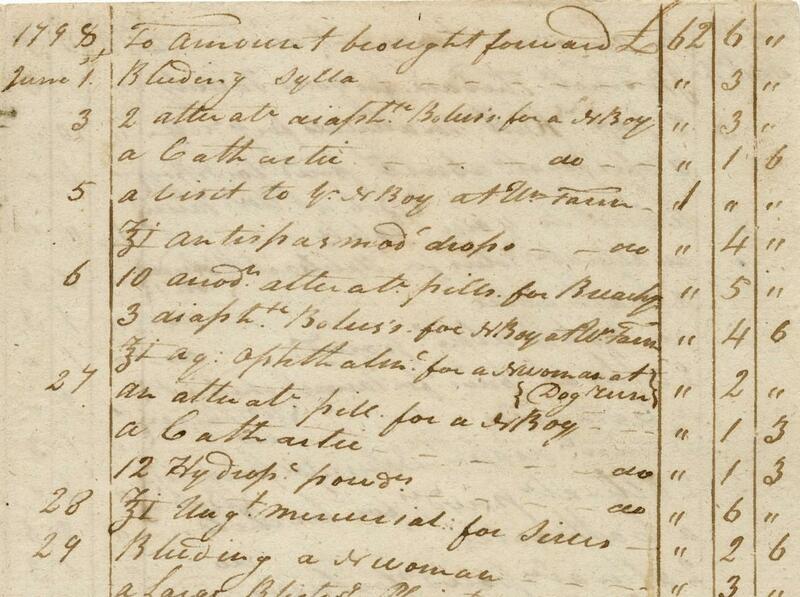 "Delia...& Doll...Continue very poorly And a Great many children are very bad with the Hooping Cough at every Qu[arte]r."
Detail of account between Dr. James Craik and George Washington, including many payments for treatments of enslaved people, August 25, 1797–June 27, 1799 [H-1197]. The charge for Dr. Craik’s visit to Daniel at Union Farm is listed here on June 5, 1798. Illness struck frequently among the enslaved community, as it did everywhere in the 18th century. Washington had slaves vaccinated against smallpox, but other diseases were common, such as tuberculosis, whooping cough, and worms. Inadequate nutrition could make illness worse, especially for children. When an enslaved person became sick, their family members provided daily care. Washington usually paid a doctor to examine the seriously ill, often his own physician James Craik. In 1798 a Polish visitor to Mount Vernon saw the cabin of Delia, an enslaved woman, and her family at Washington’s Union Farm. He described “a boy of 15…lying on the ground, sick, and in terrible convulsions.” The boy was Delia’s son, Daniel. The overseer’s report from the week of the visit noted that Delia was out of work for 6 days, nursing her son. Daniel eventually recovered. Those enslaved at Mount Vernon generally received medical care from doctors hired by Washington. The neck of a glass jug bottle and the base of a ceramic jug jar, excavated from a slave quarter, suggest that the building’s residents had access to 18th-century pharmaceuticals. Enslaved people also treated illness with herbal and folk remedies. Archaeologists found the hulls of black walnuts, traditionally used as a laxative and to fight parasitic infections. 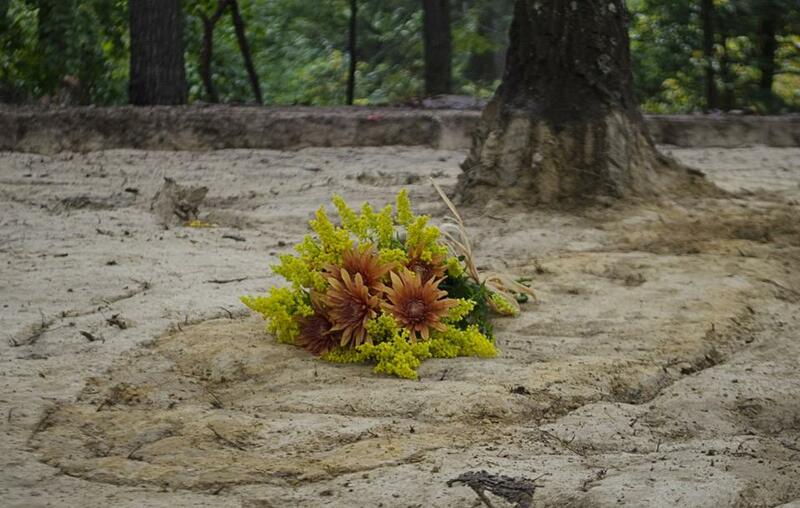 A bouquet of flowers marks an individual burial uncovered during the slave cemetery survey. Grave shafts in slave cemetery, facing southeast. The slave cemetery at Mount Vernon sits on a quiet wooded ridge overlooking the Potomac River. In this spot, as many as 150 graves of men, women, and children lie beneath the earth. The burial plots are organized in a series of rows—one contains only the graves of children. 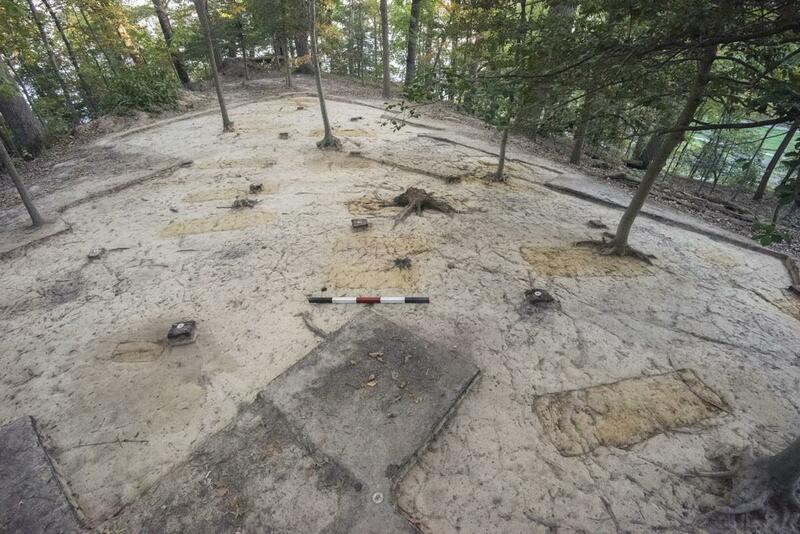 The feet of most graves point east, an orientation common in both Christian and African traditions. The burial ground was a rare space where enslaved people were in control. It was used by Mount Vernon’s enslaved, and later free, African American residents until the mid-19th century. In 2014, Mount Vernon's archaeologists began a multi-year project to study the slave cemetery at Mount Vernon.